Moving from his breakthrough hit “Classic Man” comes an always Jidenna with visuals to his new single “Long Live The Chief”. Over a grimy, tight-cut production the Wondaland rapper spits about his upbringings and ambitions. “Niggas fighting over rings, niggas wanna be the King, but long live the Chief,” he spits on the hook. The video features an always spiffy Jidenna walking down the street as he leads a procession of suit-clad pallbearers carrying a coffin down the street. Jidenna closes out the year with a Grammy nomination for Best Rap/Song collaboration for “Classic Man”. However, this is only the beginning for Jidenna. Currently, he’s preparing the ‘best album of 2016’. “You can expect swank. You can expect an album that feels like the adventures of classic man. What does a classic man do when he’s in his hotel? What does he do when he explores South Central L.A. all the way to Dubai? You can expect the best album in 2016, hands down, feet down,” he explained in an interview with Rap-Up TV. I believe in everything Jidenna stands for and I’m looking forward to new music in 2016! 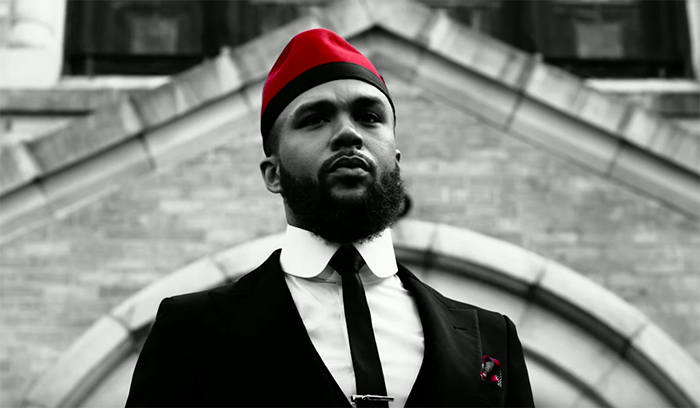 Until then, check out Jidenna in “Long Live The Chief” below!